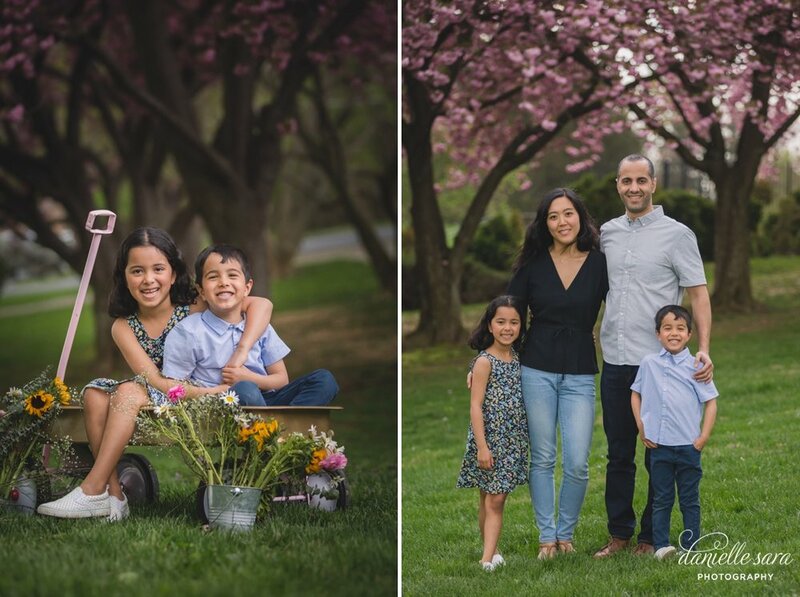 2019 Maryland Outdoor Family Photography Sessions and What To Wear! Our Spring outdoor family session calendar is open for booking! Outdoor sessions are a beautiful option for family portraits. They are also great for maternity sessions, updated baby and child milestones, Easter, Mother's and Father's day gifts... or just because you want to spend some fun, quality time outdoors with your family! Outdoor sessions are relaxed and fun for your kids to be themselves. We are looking forward to the greenery and flowers as the beautiful outdoor backdrop. This year, we have two options for our outdoor sessions from April - June! We have Limited Mini Sessions and Custom Full Session options. Whats the difference? Mini sessions are shorter sessions held in back to back time slots at the best location chosen by the photographer. This year’s dates are April 9th, 13th, and May 4th. These are offered on a first-come basis and always sell out quickly! Full sessions are longer and fully customized for your family. We can work together to choose the location, time, and theme to fit your family’s needs. Both session types include digital images files for you to make your own reprints in any size and quantity. They both include options to choose artwork if you want to turn your favorite images into something extra special. Please visit our booking page for more information and to reserve a spot. Email the studio with questions! Once your session is booked, now comes the fun part… what to wear! I always get asked “what should we wear?” for our Maryland family photography sessions. It seems daunting to coordinate outfits for your entire family. But we have some suggestions to help! Take a look at some of our spring wardrobe tips and ideas below. You can use these to think about how to style your own family. If you have any questions, want to send pictures for advise, or need some extra help planning your outfits for your session – please contact the studio! We are happy to help. Start with one outfit that you really like. Maybe Mom has a killer pair of shoes and dress she wants to wear. Go with it! From there, build around it so colors coordinate but don’t match exactly. Add a pop of color. Some of our favorite accent colors for the spring are light blue, pink, yellow and navy blue. Pair the color with neutrals to tie it all together. Stay away from wearing a lot of green when having photos taken outdoors. Avoid fluorescent colors or logos on clothing that will age a portrait. Layer! Layers add dimension and depth. Don’t be afraid of texture or mixing patterns. If it’s chilly, bring a sweater. Layer on a necklace. Be careful wearing white. If you have fair skin, white tends to wash out skin tones. White is fine as an accent color. Don’t forget about nice shoes for everyone! Visit our “What to Wear” board HERE for more inspiration and visual guides. Now Booking 2018 Maryland Outdoor Family Photography Sessions and What To Wear! BOOK YOUR 2018 SPRING SESSION HERE! Our Spring family session calendar is open for booking! Outdoor sessions are a beautiful option for maternity portraits, updated baby and child milestones, Easter, Mother's and Father's day gifts... or just because you have't had professional portraits taken in a while and it's about time! We are looking forward to the greenery and flowers as the beautiful outdoor backdrop. I always get asked “what should we wear?” for family photography sessions. It seems daunting to coordinate outfits for your entire family. But we have some suggestions to help! Take a look at some of our spring wardrobe tips and ideas below. You can use these to think about how to style your own family. Add a pop of color. Some of our favorite accent colors for the spring are light blue, pink, olive and navy blue. Pair the color with neutrals to tie it all together. 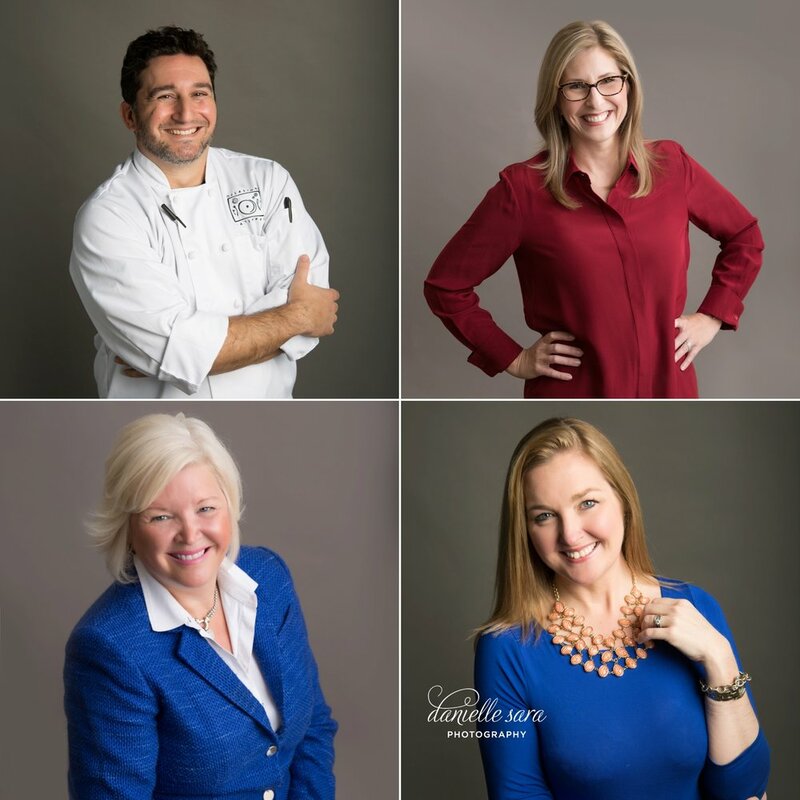 Danielle Sara photography provides headshot portrait sessions for busy executives, entrepreneurs, corporations, or simply to update a social media profile. Life gets busy, but first impressions are so important! We offer simple headshot sessions to cover a variety of needs in an efficient and timely manner, while making you look your best! Maybe you need an updated headshot for your Facebook or LinkedIn page? Or just want a series of fresh photos for your web site? Maybe you need a selection of poses for marketing materials for your business? Whatever the case may be, we’ve got you covered! In addition to studio sessions, we also offer outdoor and on-location options if you need something in a different environment. Please inquire for details and contact Danielle to schedule. The sun is shining and the days are getting longer! Time for outdoor spring portrait sessions. Bring on the sunshine and flowers. I always get asked “what should we wear?”. I know it seems daunting to coordinate outfits for your entire family. However, you don’t need to stress. Take a look at some of our spring wardrobe tips and ideas below. You can use these to think about how to style your own family.